Sellers on your store are no less than buyers, Engage your sellers in a satisfying experience of trading on your e-commerce, Sellacious takes care of your sellers just as your buyers. Upgrade your store to full-fledged multi-vendor store and take it a level higher. Introducing the multi-vendor store where all you sellers have their own profile and they list the products they want to sell, setting their pricing, shipping fee and return policies all independently ensuring their trading affair with your store to be more justified. Sellacious takes care of all this for you. While operating a marketplace with a bunch of sellers, Sellacious puts in place its feature of allowing your sellers have a dedicated page of their products. Lending them the benefit of marketing their own page exclusively. Sellacious believes charging your sellers should not be a concern and laborious task. 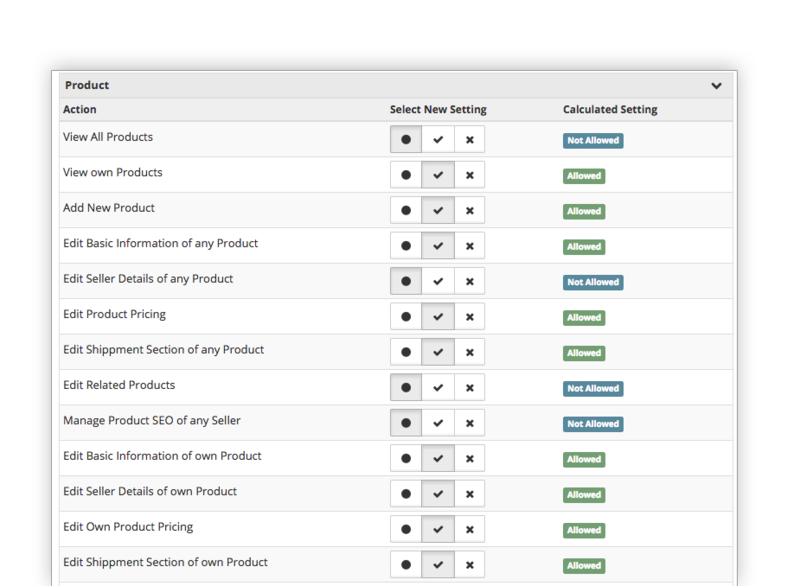 Sellacious introduces an easy way of charging your sellers all based on ‘per listing’ or a flat percentage. Get rid of all the manual calculations and let sellacious do all that for you. While providing the sellers experience of their personalised store letting the set the conditions they need, let yourself have the veto of all of it by switching on the approval feature and keep an eye on every happening in your store. View statistics and report of all sellers or any individual seller. 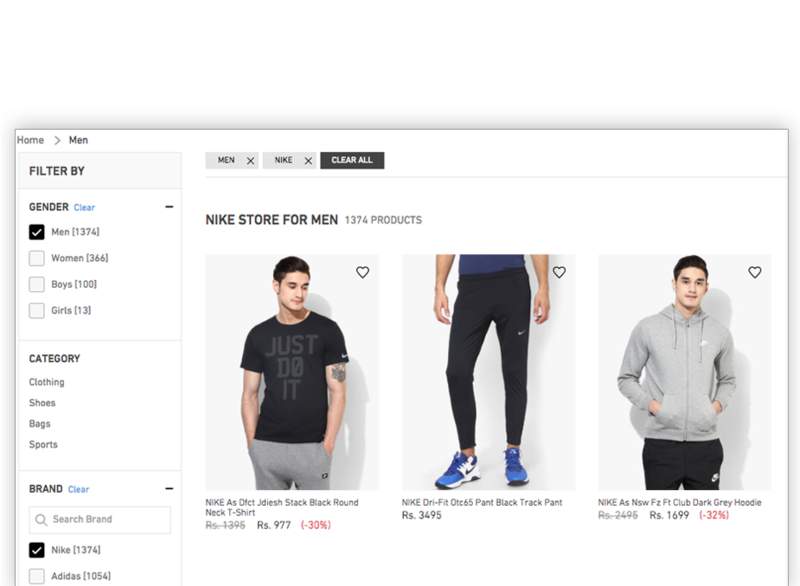 Want to build a store like eBay? 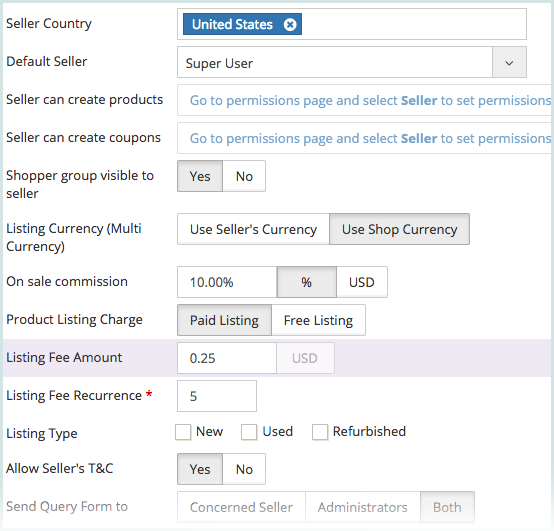 Charge a one-time or per-day listing fee for each of the product. One can also setup item condition. 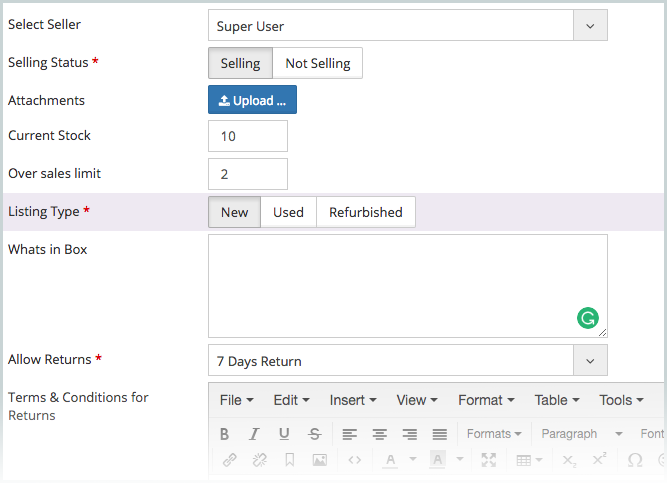 Let your sellers communicate with admin or other sellers through built-in messaging system. Decide returns or exchange policy of your store or let sellers decide it for their products. 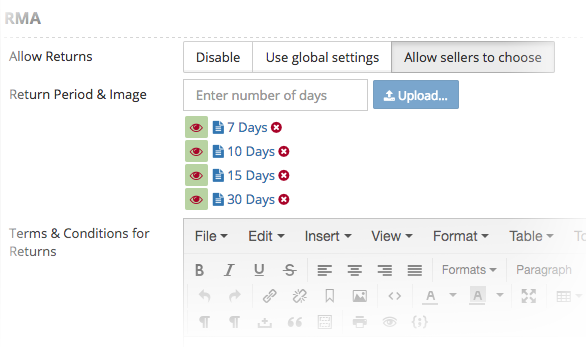 Sellers can even create different policies for each of their products.